We are three boys sticking together since school time. Every summer we meet eachother for the yearly practice in the wilderness. During one week or two we throw our ordinary clothes and put some rougher clothes on. 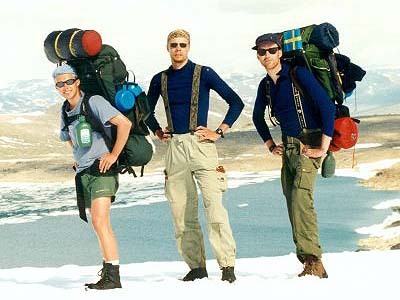 The past years hikes have been in Scandinavia where Jotunheimen have had several visits. We have also climbed Kebnekaise, hiked in Sunmörsalpane and visited the famous Preikestolen in the south of Norway. We have also some thoughts about the Alps and New Zeeland. At the beginning, we hiked a lot but the past years we have tried glacier walking / climbing and easier peak climbs. Below you’ll find more information about us.